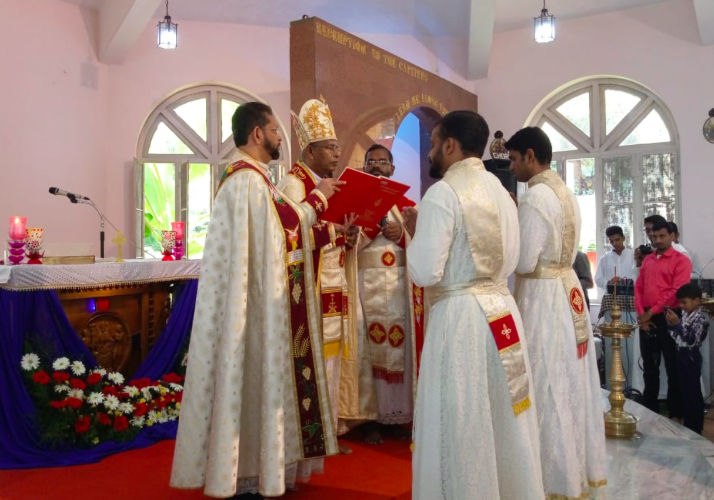 Bros. Diljo Achandy and Saneesh Perinchery were conferred the Order of Diaconate by Mar Andrews Thazhath, Archbishop of Thrissur. Rev.Fr. 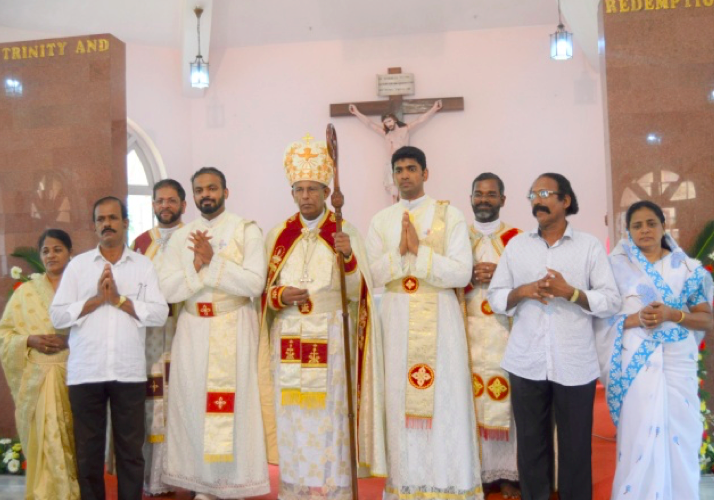 Joseph Muthuplackal, the minister of the Vice Provincial, was the Arch deacon for the ceremony and Fr.Binoj Puthenpurackal, was the master of ceremony. Several Trinitarian friars, family members of the Deacons, Trinitarian family members participated in the celebrations. Congratulations to Deacons Diljo and Saneesh! Best wishes as they begin their pastoral ministry in different parishes.